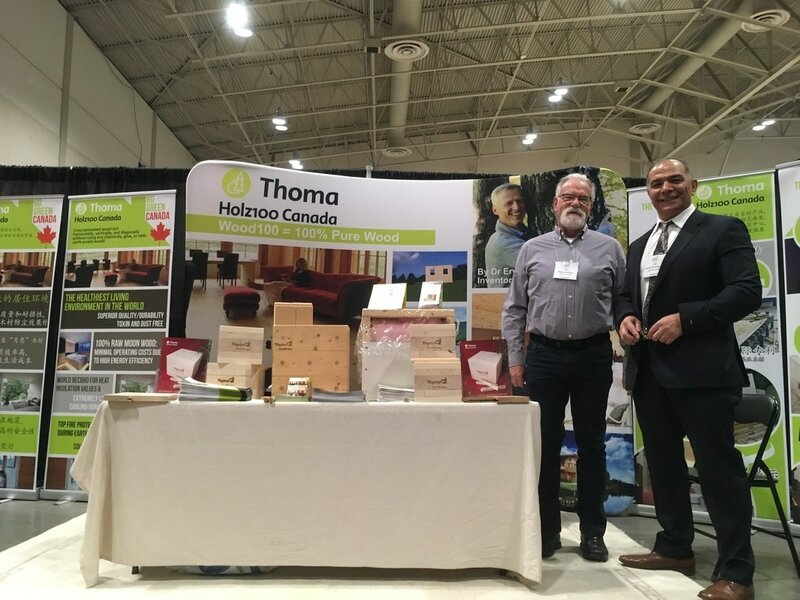 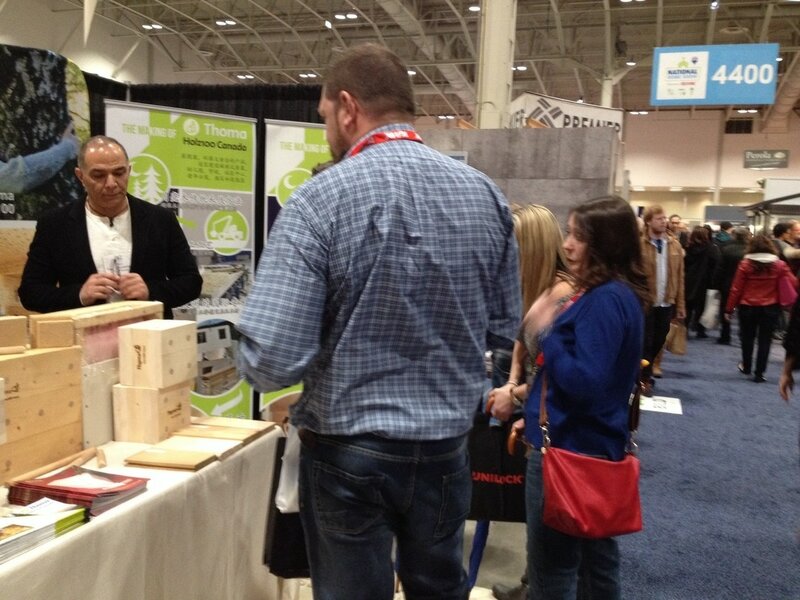 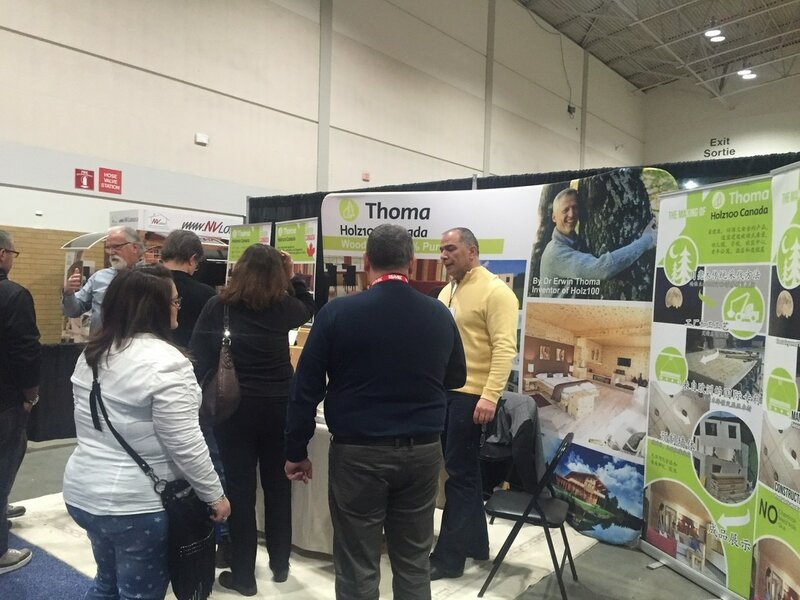 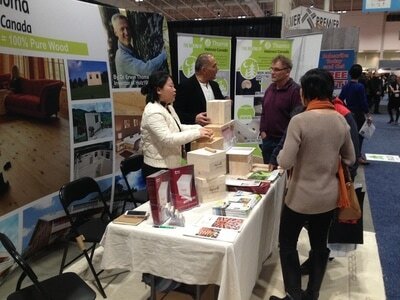 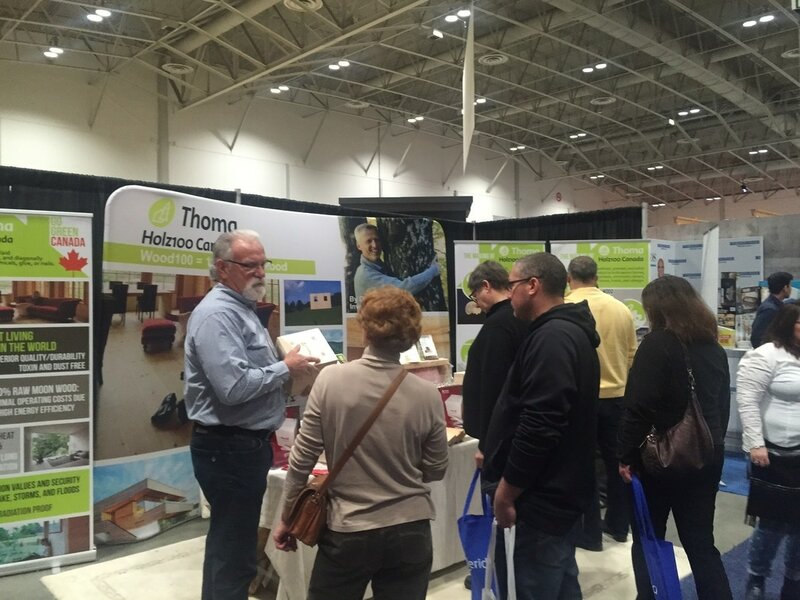 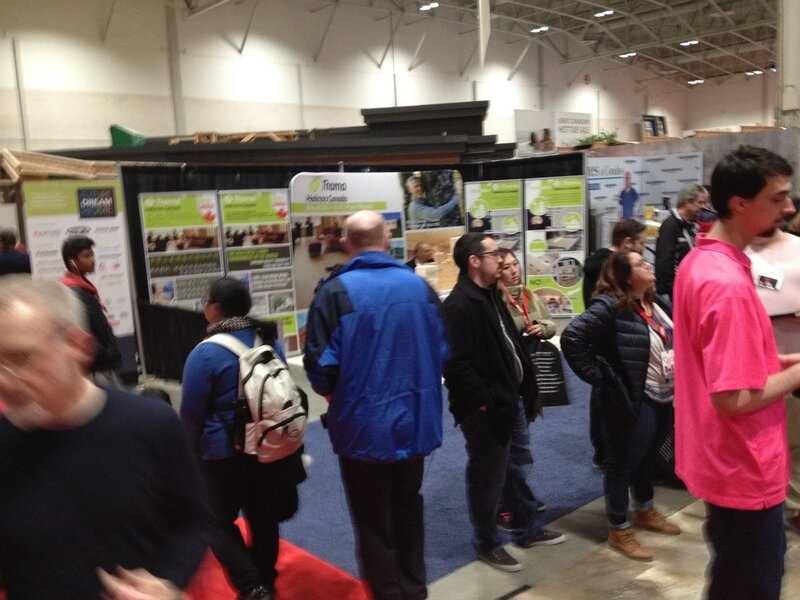 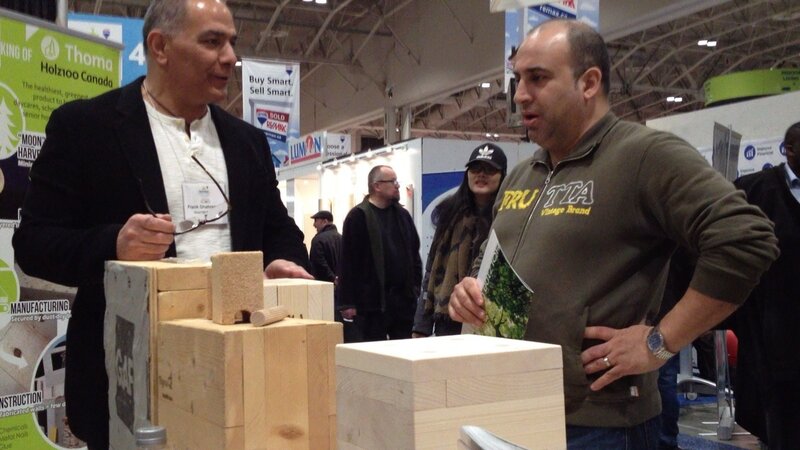 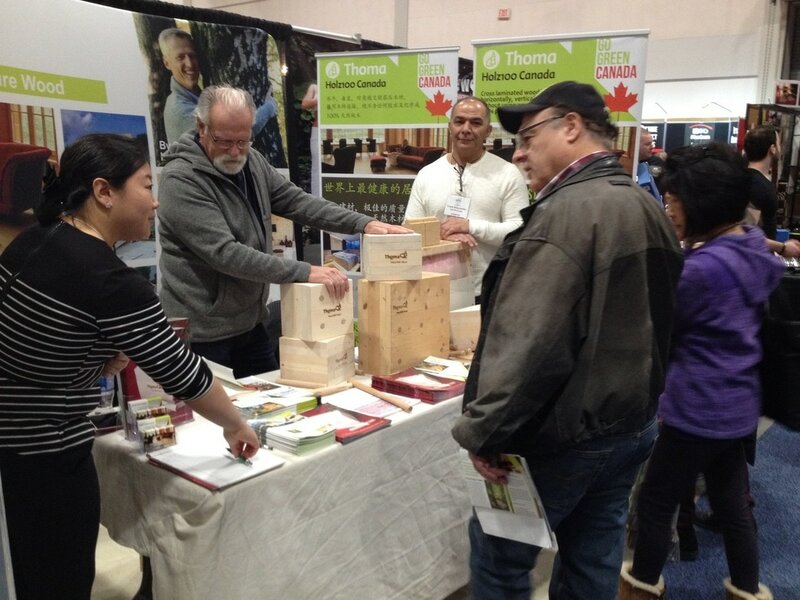 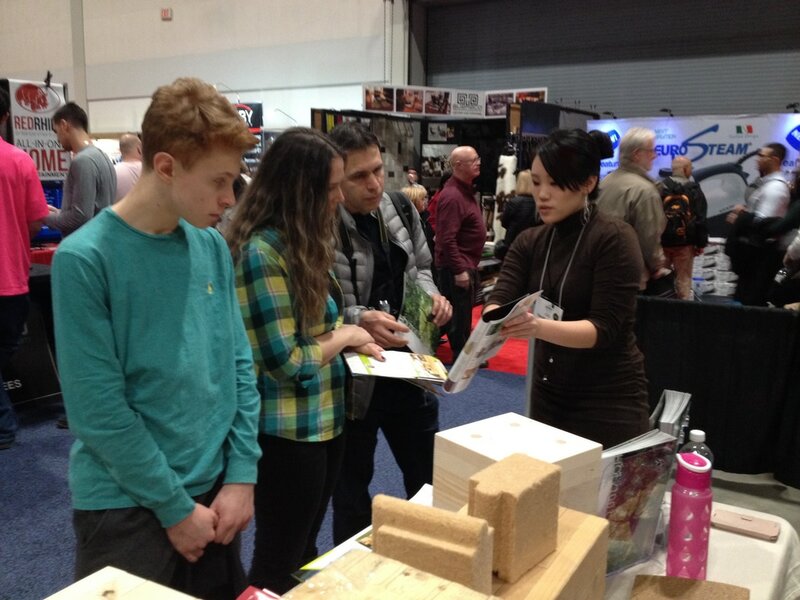 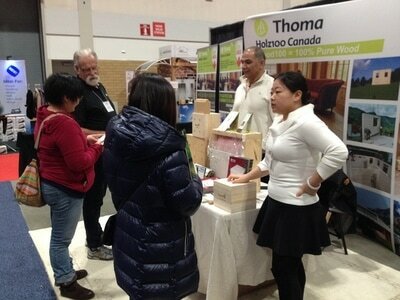 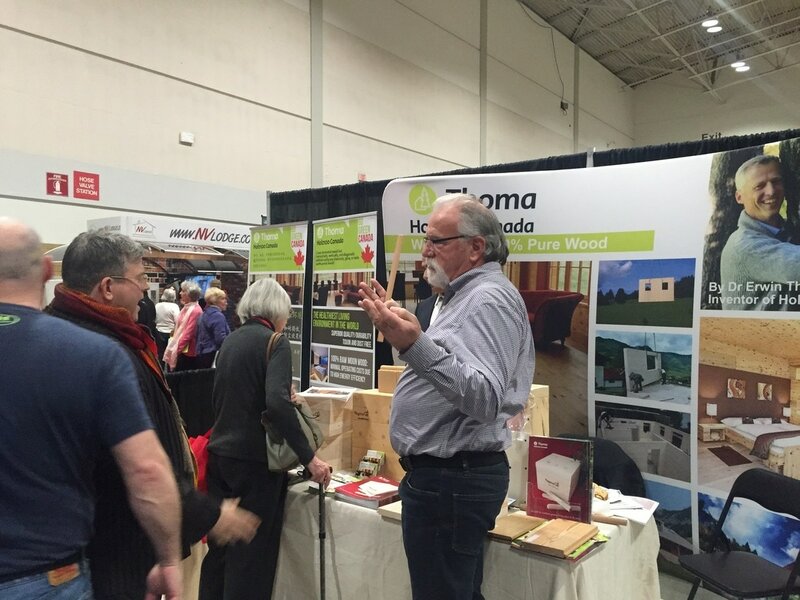 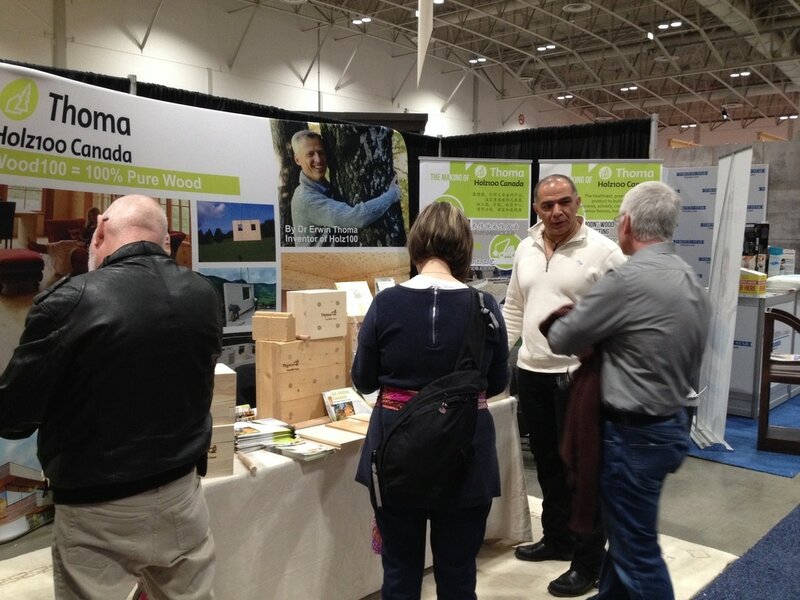 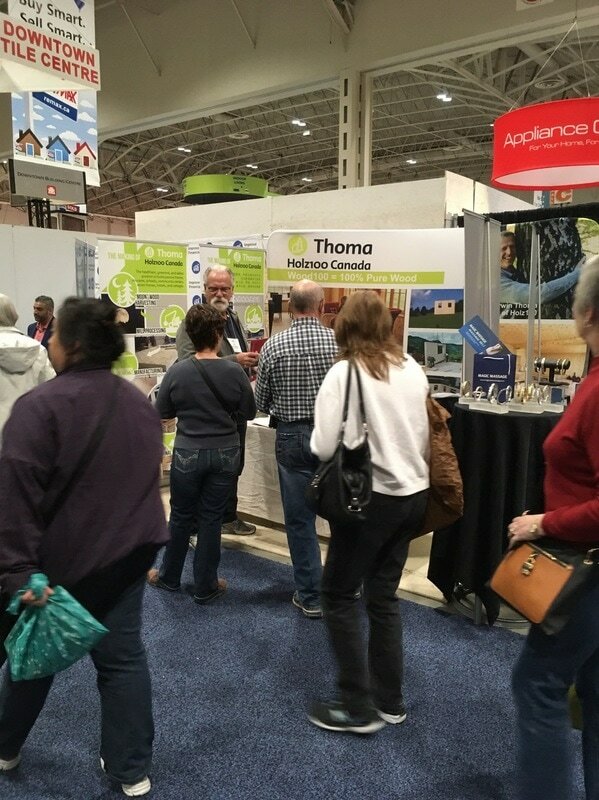 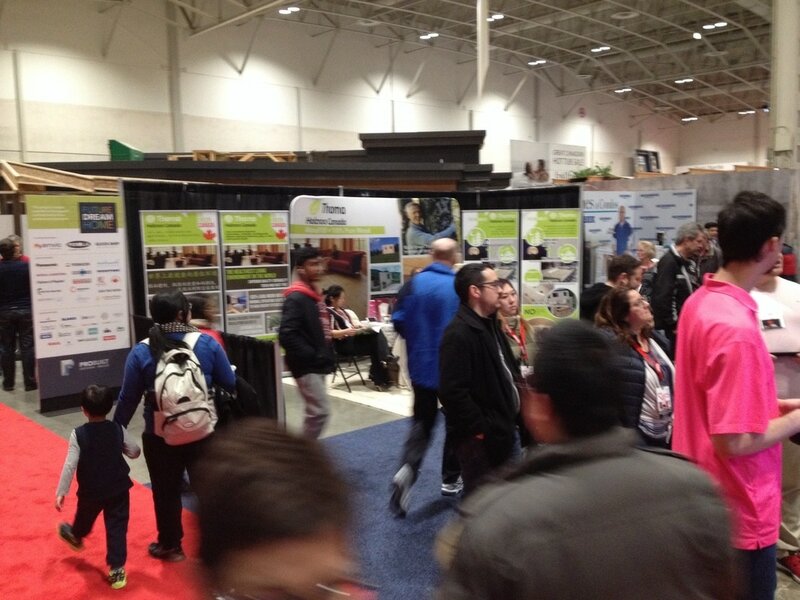 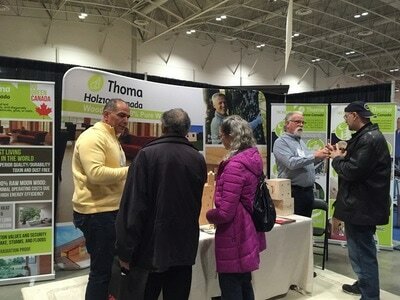 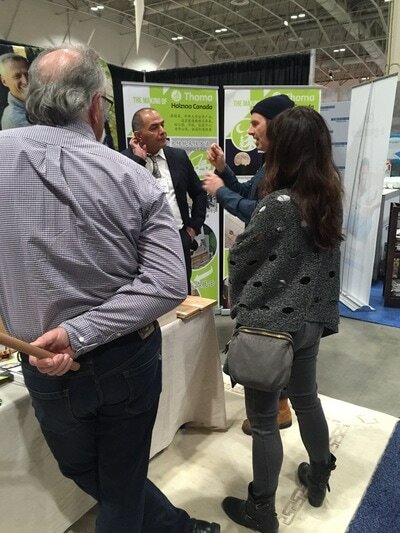 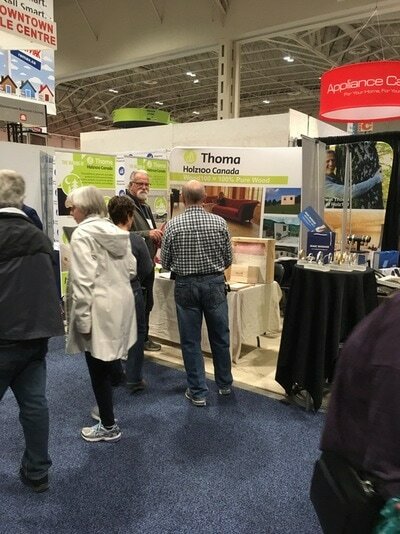 National Home Show - Holz100 Canada Inc.
We certainly had a blast at the National Home Show - at our 10x25 booth with cube/dowel samples from Austria and newly printed catalogs available in both English and Chinese, we couldn't be any more prepared! There were many homeowners looking to build a new home/cottage who were fascinated by such a revolutionary product that they've never seen before in North America. Some loved it so much that they even returned with their personal architects and customized designs! 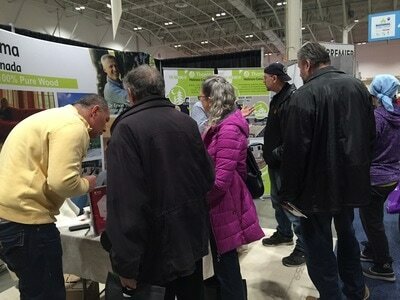 We were happy to see that more and more people became appreciative of Dr. Erwin Thoma's technological innovation combined with nature's wisdom.